Visit Miles Tea & Coffee… tick that off the bucket list! Tuesday night and my girlfriend suggests we go to Dunster Castle, near Minehead. I’m all in favour of this because I do enjoy walks out in spectacular English country gardens and our days out always consist of a cream tea somewhere. Then I had a lightbulb moment. 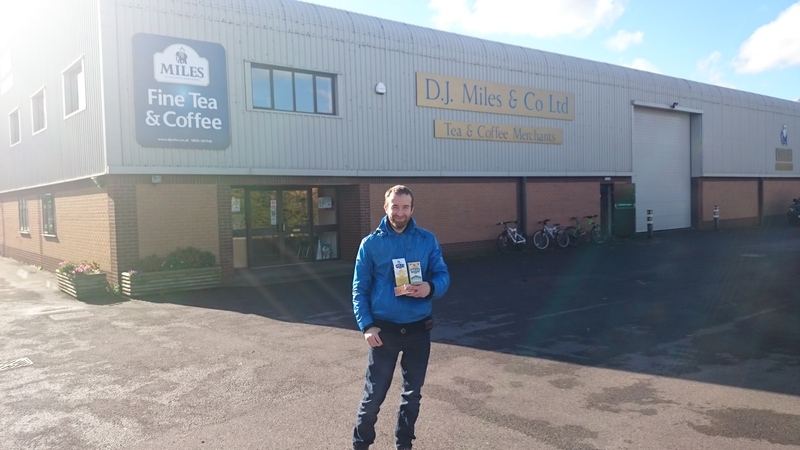 Miles Tea & Coffee, one of my favourite bagged teas, are based in Minehead. This could be my moment. Not only to get a box of Smuggler’s Gold, but also say hello to the fine people that work for such a great brand. 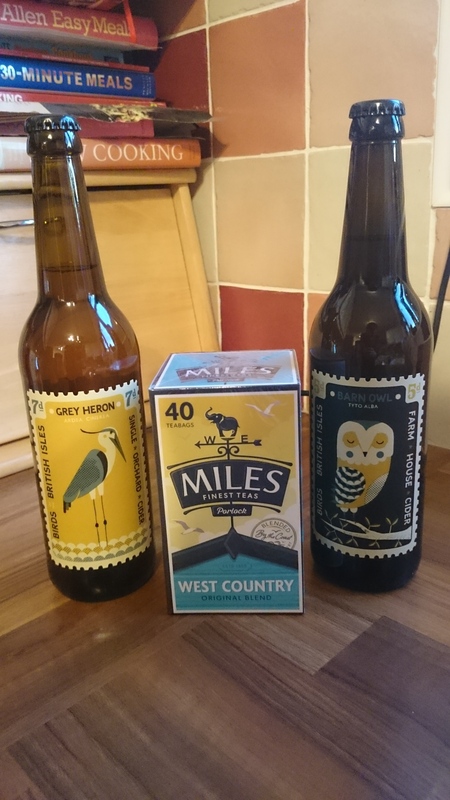 At first I couldn’t find Smuggler’s Gold in the shops, so settled for some great tasting West Country blend (along with a couple of cheeky ciders from Perry’s Farm Shop). I sent a tweet. Then a reply came in the form of a Direct Message. I’d only just gone and recieved an invite for a tour of the site if I had a spare 20 minutes. A spare 20 minutes? I’d clear the diary for stuff like this! I was ecstatic and couldn’t wait. Miles Tea is easily a top 5 bagged tea for me and I know co-founder of the #teaclub, Benn, would go along with this too. Each bag of their original blend creates a refreshing brew that isn’t too strong, nor too weak. It’s a perfect balance of African and Indian teas. In fact it was only a couple days prior that i’d bought a box at the Perry’s Cider farm shop. Great timing! We arrived at Miles HQ just before 11am. I couldn’t wait to open the reception door and ask for Matt, who would be my guide for the visit. When I spoke to the lovely receptionist to see if Matt was in, I was instantly asked ‘Are you Michael?’. We are off to a flyer here! My girlfriend and I waited for a couple of minutes, which gave us 120 seconds (I’m good at maths me) to drool, well I was drooling, over the fine assortment of teas on sale. Ok, I admit it, I saw a packet of white chocolate coated coffee beans and I was tempted to buy some. Ok, i’ll admit that I did indeed buy a box at the end. Matt came down and we all shook hands and said hello. Except for my girlfriend and I. That’d just be weird. Matt invited us through to what looked to be the staff canteen where he popped the question: ‘fancy a brew?’. This was going to be a great day. A few minutes later and we all had a cup of tea in a Miles Tea & Coffee branded mug. I totally should have got hold of one of these for my mug collection. Matt talked about the growth of Miles Tea & Coffee over the years and explained what changed had occurred and what prompted them to happen. We discussed the new packaging before agreeing that it looks striking, elegant and reflects the company’s values and heritage. 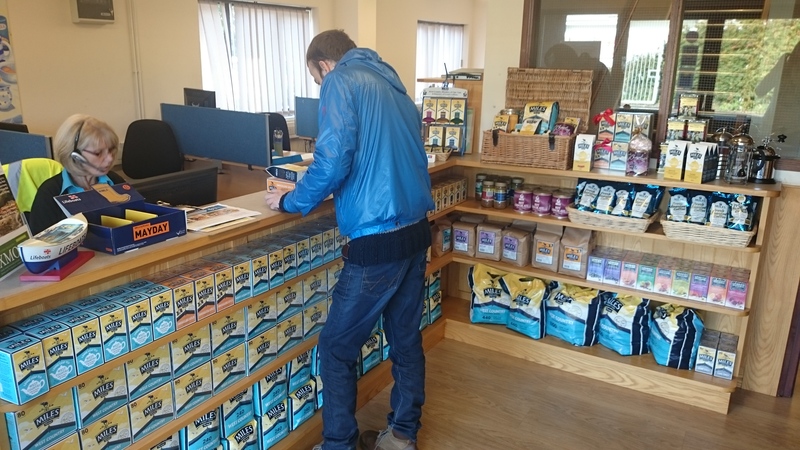 I told Matt that I had previously had a tour of Yorkshire Tea HQ so could offer some comparisons to the Miles Tea & Coffee site, It was a frank and honest discussion about the big strides the company had made, the obstacles that had faced them and the aspirations for the future. There was talk of the internet, competitions, pop up tea bars and sales. Much of which I can’t/wouldn’t want to go into further detail. But I can say that exciting times are ahead! M from the #teaclub feeling dead chuffed at seeing loads of tea being packed. After gulping down our teas we set off on a wonderful tour of the site. 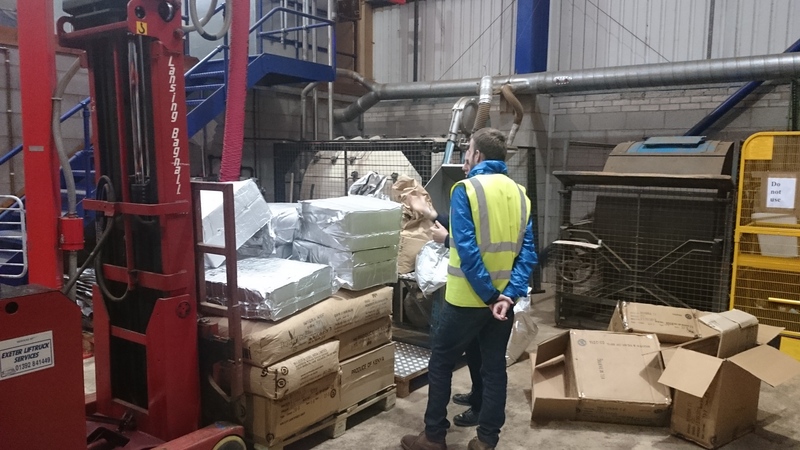 First up was the packaging area where we saw two or three people dealing with the assembling of tea boxes, tea bags and general packaging for sale. 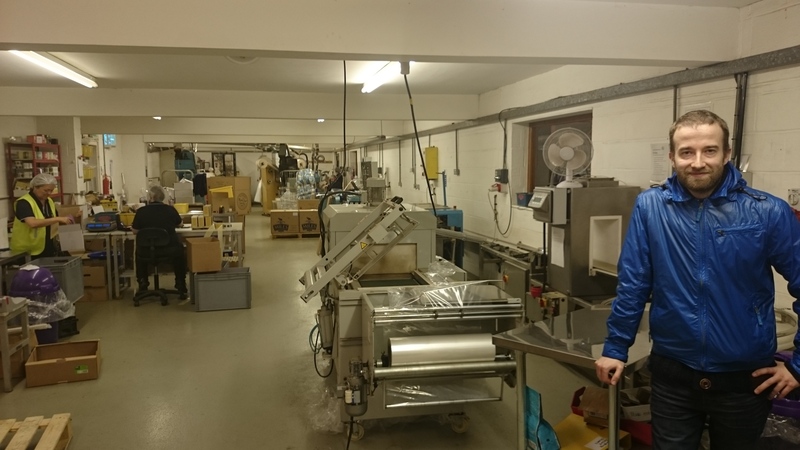 Matt explained the process of getting the tea from machine to the place where the tea is poured into the tea bag to where the tea bags are placed into the boxes. Most of this was done by real human beings, not robots, which was very refreshing to see. Exactly why we should enjoy and support the independent tea companies. My tour guide was the brilliant Matt. Here we both are enjoying the warehouse tour. My face lit up like a Christmas Tree when I saw a pallet full of Malawi tea. We then donned our hi-vis jackets and proceeded to the warehouse next door. Now this was the stuff dreams are made of. Pallets upon pallets of tea-glorious-tea. I could do a full 360 degrees turn and see nothing but tea. To my right was what could only be described as the menu of teas stocked by Miles. Ahead of me was endless boxes of tea. To my left the warehouse just seemed to go on for miles, which wetted my appetite nicely, and behind me was…well… the door we just came through. 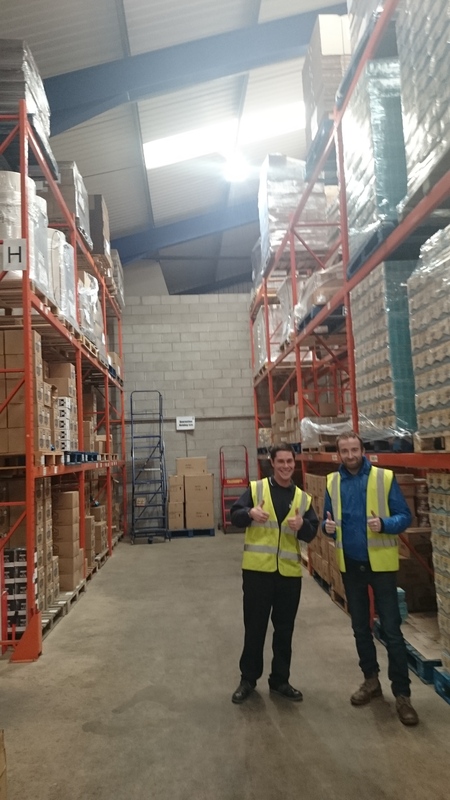 Walking the warehouse and hearing the quirky facts from Matt was just brilliant. He told us about tea that goes for retail, tea that goes to cafes and tea that goes to hotels etc. 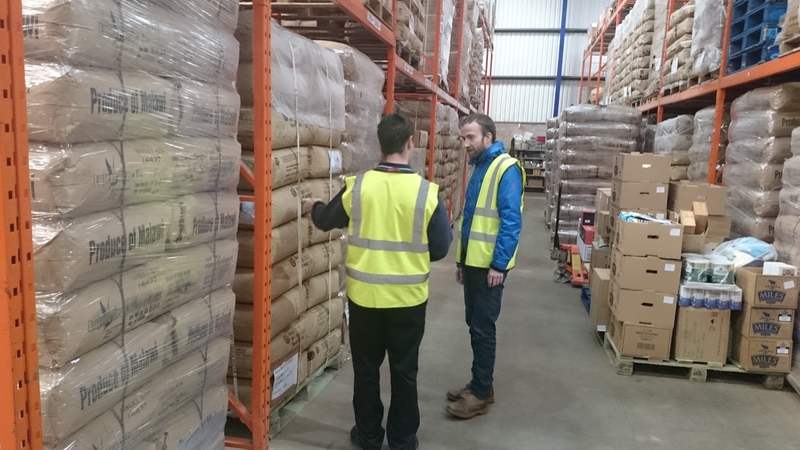 The same goes for the cofees and hot chocolates, which were also showcased in the warehouse. There was plenty of buzz about the new packaging, especially with the hot chocolate. Later on, when I saw a pallet full of Malawi tea, I was just in awe! I love Malawi tea and was delighted to see that it was used in Miles Tea blends. I hope I haven’t spoiled a secret here Matt?! Forget the gadget shops, these are proper tools. Oh wait, now that sounds like I’m insulting someone. At the far end of the warehouse we saw machines. This is where the magic happens. Heavy sacks of tea gets poured into a mixer, sometimes a cement mixer I kid you not, where the different teas have conversations with one another as they mingle. Hearing the logistics of Earl Grey processing and seeing the resulting blends gathered in a big tray, it felt like I had reach the zenith of my career at the #teaclub. All good things come to an end. I didn’t want to leave the shop! All this was topped off with a sneaky peak at the Christmas stock and other sneaky peaks in the office. All I can say is, stay tuned and have a good internet connection. We ended the day with a tasting room showing before a visit to the shop, where I managed to get my hands on some Smuggler’s Gold Tea, Fairtrade Tea and White Chocolate Coated Coffee Beans (don’t hate as they are spot on!). A huge thank you to Matt at Miles Tea & Coffee for giving up his time to show us round the site in Minehead. From what was only initially billed as a 20 minute slot. it turned into a magical hour and a half of tea madness. I got to drink tea in the staff room, see a warehouse full of tea, see tea being blended, see tea being packaged and buy tea at the shop. Oh and Matt even gave me a few coffee sam… ok maybe I shouldn’t admit to that.